Wait. A passive or active preamp? A relay-switched stepped attenuator volume control for perfect channel matching and unmeasurable distortion? 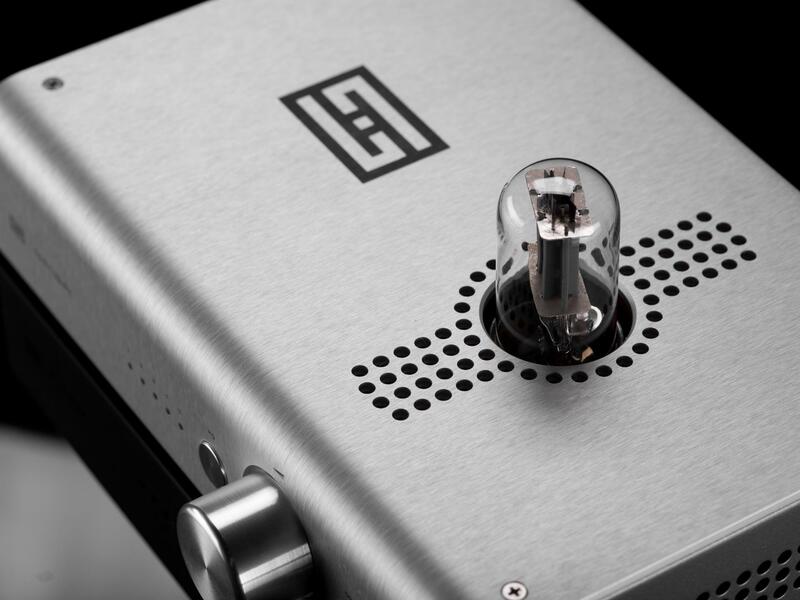 A unique active stage that uses a hybrid tube buffer? And a remote control included? For $349? Yes, yes, yes, yes, and yes. 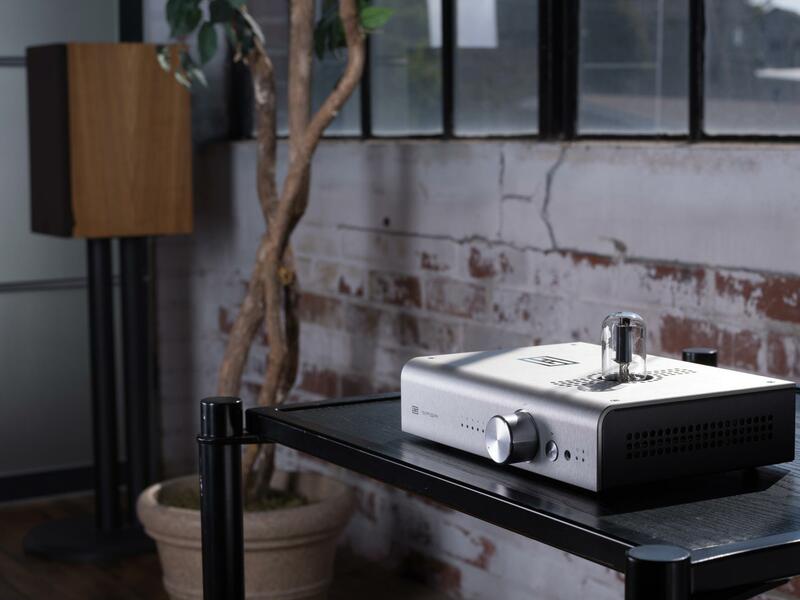 Get prepared as Schiit rewrites the value equation in home audio the same way we’ve done for the desktop. When you’re talking about gear that doesn’t sit on your desktop (like our headphone amps), you need the convenience of remote control for volume, input switching, output switching, and muting. Saga includes a custom remote control, standard. Go ahead. Run Saga in passive mode for a convenient remote-controlled passive preamp that’s ideal for many systems. If you need to drive long cables, or want to add some “tube sound” switch it to the hybrid tube buffer—a serious buffer running on 200V rails with vanishingly low distortion. Most preamps—passive or active—use a potentiometer for volume control. There’s nothing wrong with this approach, but some pots can have channel imbalance at lower volume levels (so that one channel sounds louder than the other). Saga uses a sophisticated microprocessor-controlled relay-stepped attenuator for perfect channel matching and zero distortion. You can hear it clicking as you turn the volume up and down. Want a remote-controlled system to interface your digital gear with the rest of your system? Stack Saga and Bifrost (or any other of our DACs) for a true no-compromise remote-controlled system. By “designed and assembled in USA" this is what we mean: the vast majority of the total production cost of Saga—chassis, boards, transformers, assembly, etc—goes to US companies manufacturing in the US. Our chassis are made minutes from our facility. Our PCBs are done just over the hill from us, or done in NorCal. Our transformers are also made in California. You get the picture. Saga is covered by a 5-year limited warranty that covers parts and labor. One exception: the tubes. Those we cover for 3 months. And if you don’t like your Saga, you can send it back for a refund, minus 5% restocking fee, within 15 days of receiving it. Wait. A preamp? You’re doing preamps now? Why would I need a preamp? 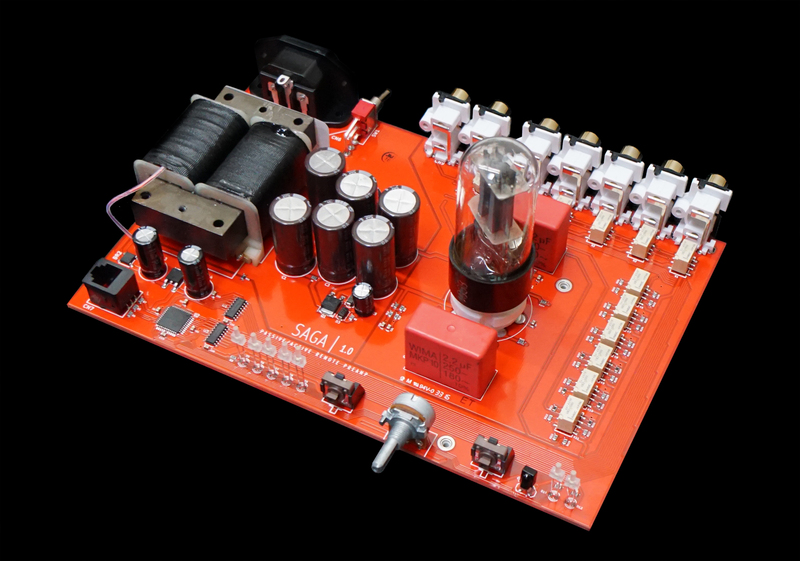 If you’re using a power amp without volume control, you’ll need a preamp. The preamp allows you to control volume, switch inputs, etc. Aha. So what’s so special about your Saga? Lots of things. But let’s start where you probably aren’t expecting us to: in the philosophy. Yes, philosophy. Because in the past 20 years or so, audio gear has gone into full gold-plated Bentley/60’ private yacht/$120MM beach estate mode. As in, prices are completely and utterly insane. Go ahead. Look around for a remote passive preamp, and check the prices. Now add a tube stage. 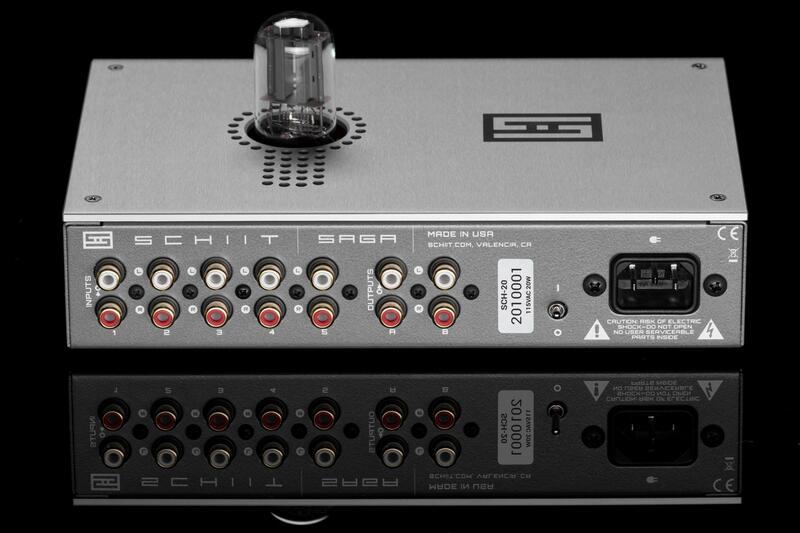 Oh, wait, there aren’t any of those, so check out remote controlled tube preamps. Ouch, part 2. And then start looking at preamps that use a sophisticated, perfectly-matched relay-switched stepped attenuator instead of a volume pot or cheap volume-control chip, and we’ll excuse you so you can go scream at the injustice of the world. And then there’s Saga, at $349. So how do you make it so cheap? By making a ton of them at a time, by using automated surface-mount assembly, and through smart design that doesn’t need a ton of hand-work to solder and route wiring. And by selling direct. No magic. So there’s gotta be a catch, like you’re just putting the nameplate on and calling it “made in USA,” right? Well, first of all, it doesn’t have a nameplate. And secondly, all of the major components, from the chassis, to the transformer, to the boards, to the assembly, to the testing and packaging and design, are all done in the USA. Really. So what’s this about it being passive or active? How does that work? Passive preamps are great if you have short cable runs and high-impedance inputs to your power amp. On the other hand, active preamps give you the ability to run longer cables and drive low-impedance inputs on some power amps. Saga is both. Switch it to passive mode to bypass the tube buffer, or switch it to active mode to use the tube buffer. It’s up to you. And this bizarre hybrid tube buffer? What’s that? There are plenty of tube buffers out there, but ours is unique. It’s actually a hybrid push-pull tube buffer, featuring a dual triode tube and a pair of BJTs (bipolar junction transistors), with a unique transconductance-equalizing network that pairs the tube and transistor more seamlessly, and helps cancel distortion. The result is a buffer that measures insanely well—better than some solid-state stages! I don’t care what it measures like, I care what it sounds like! Yes, and some people care what it measures like, too. In our opinion, it both measures and sounds great. Of course, we’re biased. And this relay-stepped attenuator thing? Yeah. It’s cool. Unlike a potentiometer, it gives you perfect channel matching down to the lowest level of the volume knob. And, the knob on the front of the preamp acts just like a normal volume knob—it stops at the bottom and top of its travel. No endlessly spinning encoders here. Just the same easy-to-use knob you’re used to, coupled with sophisticated microprocessor control. Hey, I want just a passive preamp, not a tube preamp! Then just use passive mode. But I want just a passive preamp—can’t you make a version like that? Yes, and other people want just a tube buffer, or they want a preamp with gain, or they want a preamp with a DAC input, or they want a preamp with a phono input, or they want a preamp that’s based on a different kind of tube, or they want a preamp that’s based on a different kind of transistor, or they want a preamp without a remote, or they want a preamp with an app for a remote, or they want a preamp with Bluetooth, or a thousand other things. While we hope you like the Saga, and that it fits your needs, we can only build them one way. That’s one of the reasons it doesn’t cost like a good used car. Hey, I want balanced inputs and outputs! Then you need Freya, Saga’s big sister. Saga is a seeress, or a goddess associated with wisdom. Once you get off the beaten path in Norse mythology, it starts getting a bit murky like this. But we do think you’ll find Saga a wise choice in a system needing a preamp. 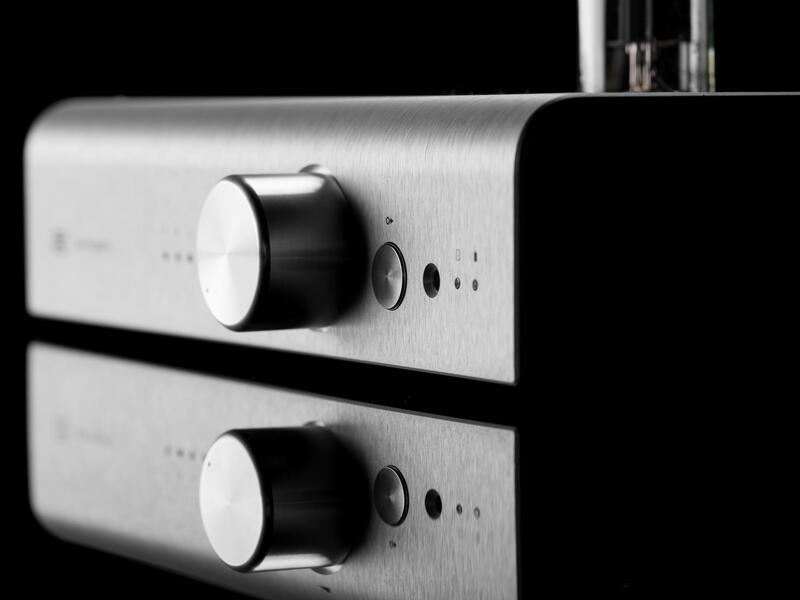 "With their Vidar and Saga, Schiit turn conventional thinking on its head to lay down a serious challenge to ANY amplification selling for a coupla clicks north of a thousand US dollars. 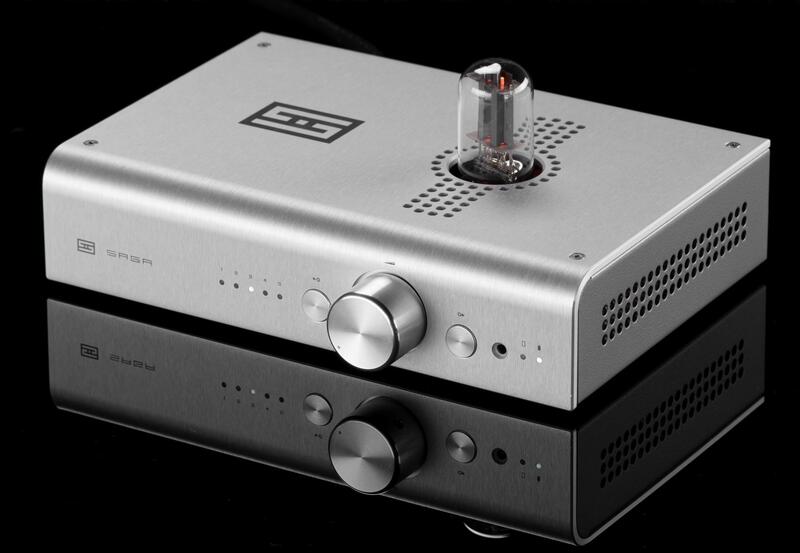 The point is, Schiit lay down the red carpet to a separates approach but without the premium. Welcome to the great leap forwards!"